It’s the halfway point of the fest! 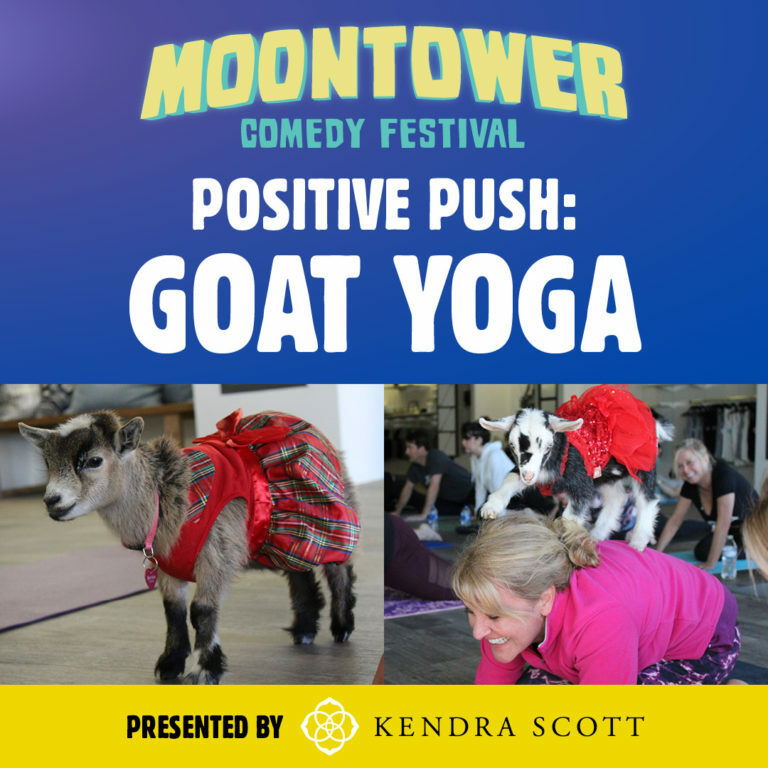 Let’s unwind with some yoga poses and selfies with cute baby goats. It’s easy! It’s fun! Enjoy it! Yoga mats provided. This signature Moontower event pays tribute to Brody Stevens. Donations to National Alliance on Mental Illness can be made here.